The Auditor General’s Office has made the recommendation in its 2017 report that the Immigration Department should consider enhancing its Compliance and Investigation Unit capacity with the sufficient staffing and logistics allocation to enable them to proactively monitor permit terms and conditions and mitigate overstayer cases. 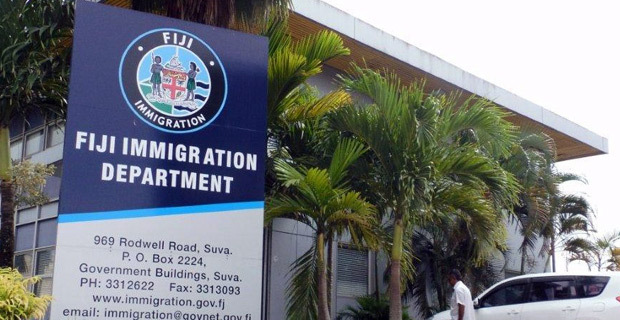 The audit team has noted from a report that a total of 2,008 permit holders have remained in Fiji despite the expiry of their permits. The Auditor General’s Report states that they have noted the Compliance Unit consists of five staff and shares one vehicle with the remaining sections which hinders the Unit’s ability to proactively follow‑up on the permit holder’s permit condition and expedite the removal of over stayers in the country. It says that absence of the stringent monitoring and reliance on the permit holders and the employers or sponsors to provide the correct information could result in breaches of the permit conditions, illegal activities and over‑stayers not being detected and necessary actions taken on a timely basis. The Department has noted the Auditor’s recommendation. The Department says it is in the process of filling the vacancies and is proactively working on the system to track permit holders.